the sling. 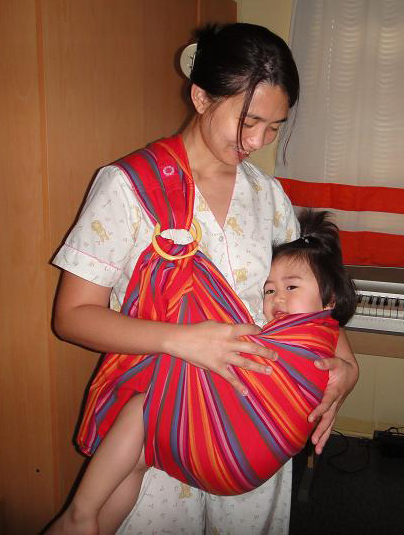 I was sorting her old clothes and found my mammaway sling that we used when she was little. I asked her if she still want a ride and without hesitation she did! apparently she missed the feeling and does not want to go down. It took a long 30 minutes before we finally convinced her that she’s big enough for this!